It's Marathon Monday! Run, jog or walk with us to get into the spirit while getting inspired by my guests and their running and fitness journeys. Advised to up their cardio to overcome a weight loss plateau, Mark and Lissett Lineberry, completed their 1st race together, the Life Time Fitness Commitment Day 5K, on January 1, 2013 in an hour's time. 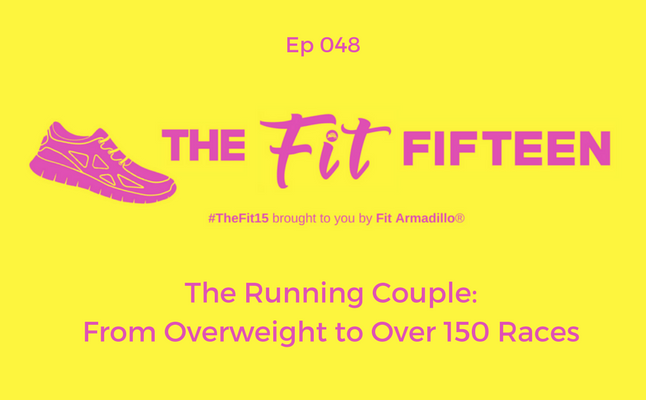 Since then, they have have run over 150 races from 5Ks to full marathons and have lost over 100 pounds between them. Lissett is now paying it forward as an RRCA Certified Running Coach.